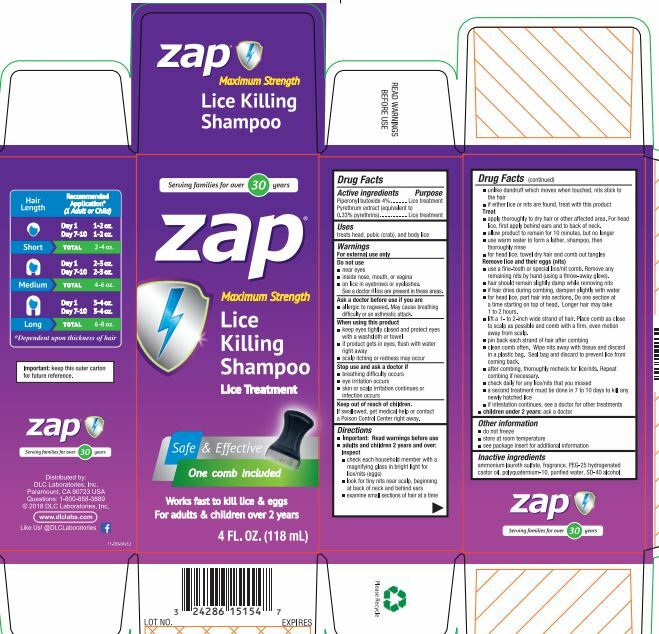 Proprietary Name: Zap Lice Killing What is the Proprietary Name? Non-Proprietary Name: Piperonyl Butoxide, Pyrethrum Extract What is the Non-Proprietary Name? 24286 - Dlc Laboratories Inc. Zap Lice Killing with NDC 24286-0253 is a a human over the counter drug product labeled by Dlc Laboratories Inc.. The generic name of Zap Lice Killing is piperonyl butoxide, pyrethrum extract. The product's dosage form is shampoo and is administered via topical form. Labeler Name: Dlc Laboratories Inc. Dosage Form: Shampoo - A liquid soap or detergent used to clean the hair and scalp and is often used as a vehicle for dermatologic agents. FDA Application Number: part358G What is the FDA Application Number? On lice in eyebrows or eyelashes. See a doctor if lice are present in these areas. Allergic to ragweed. May cause breathing difficulty or an asthmatic attack. If either lice or nits are found, treat with this productTreatapply thoroughly to DRY HAIR or other affected area. 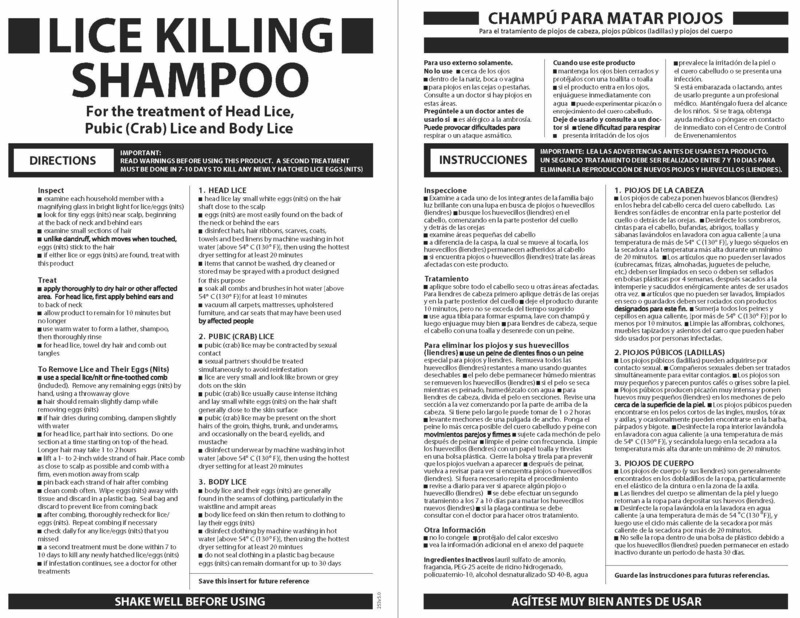 For head lice, first apply behind ears and to back of neck. For head lice, towel dry hair and comb out tanglesRemove lice and their eggs (nits)use a fine-tooth or special lice/nit comb. Remove any remaining nits by hand (using a throw-away glove). For head lice, part hair into sections. Do one section at a time starting on top of the head. Longer hair may take 1 to 2 hours. Lift a 1-to 2-inch wide strand of hair. Place comb as close to scalp as possible and comb with a firm, even motion away from scalp. Clean comb often. Wipe nits away with tissue and discard in a plastic bag. Seal bag and discard to prevent lice from coming back. After combing, thoroughly recheck for lice/nits. Repeat combing if necessary.